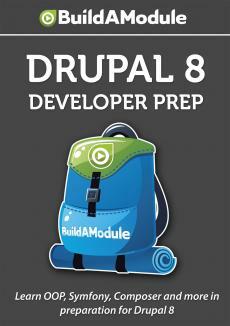 Now is an awesome time to be a Drupal developer. Over the last several years, demand for Drupal experts has exploded, meaning that even those with minimal experience end up getting amazing jobs and working on really interesting projects. There has been a cost though to committing yourself to learning Drupal which is that a lot of what you learn isn't very applicable in other projects outside of Drupal. For example, where nearly all modern web applications use object-oriented programming, Drupal has made a point of staying away from it and lots of other systems that we use in Drupal aren't found anywhere else. The market tells us that there is still a ton of value in diving into Drupal but as developers we tend to want to learn tools that are flexible and allow us to grow, and learning Drupal just because there's plenty of job opportunities tends to rub some of us the wrong way. Luckily, the community of developers behind Drupal 8 have worked really hard to break out of the Drupal mould for a variety of reasons. Lots of Drupal-specific components have been ripped out and replaced by standard libraries. For example, you might have heard of the Symfony framework which Drupal 8 now leverages to do tasks like route URLs to the code that provides the output for those URLs. Also, in Drupal 8, we adopt a number of standards used broadly in the PHP community so that it becomes much easier both for experienced PHP developers to plug into Drupal and for Drupal developers to find their way around other projects.